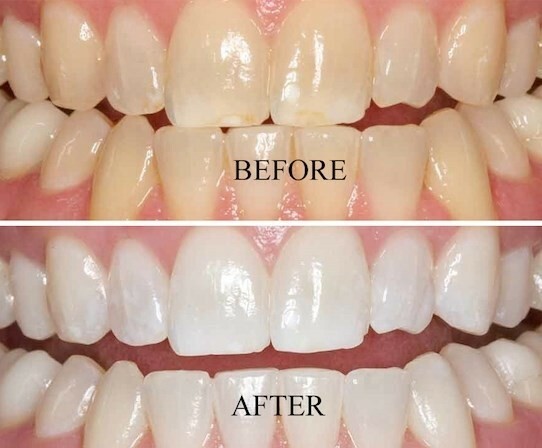 Our in-spa treatment takes only 20 minutes for professional whitening results! We are excited to announce our addition to our new teeth whitening system! 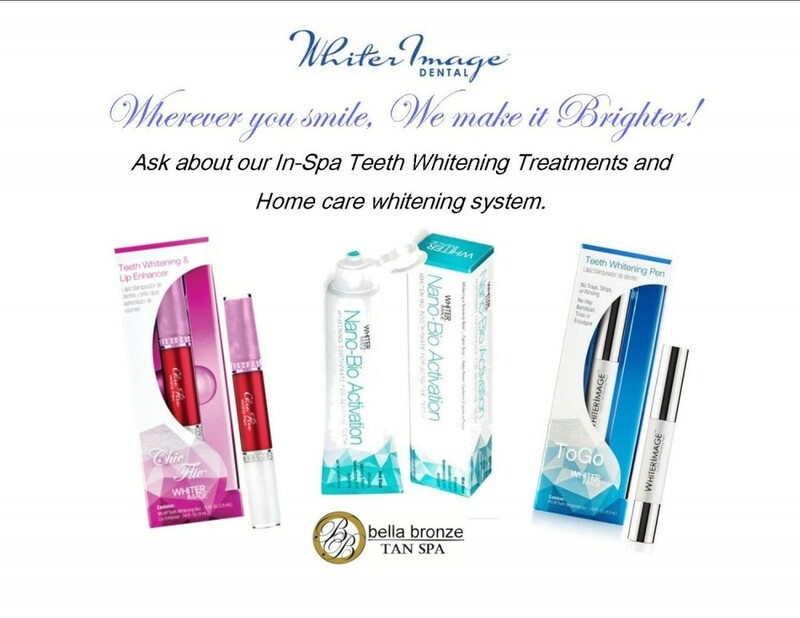 In addition to our premium in-spa, cosmetic treatments, you can get professional whitening results at home! 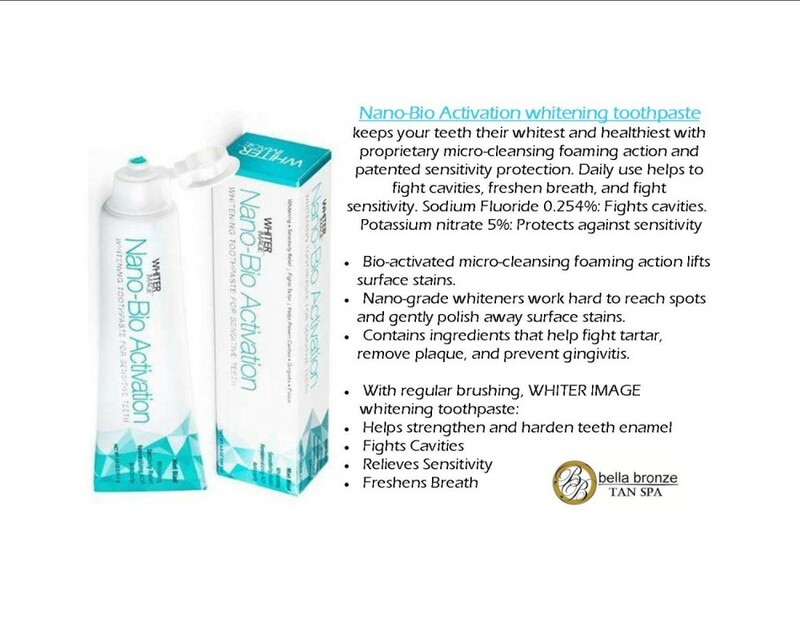 Ask about our "Chick-Flic" whitening pen with lip plumper, Our "Nano-Bio Activation tooth paste" & other home care, Whitening products! Sessions available at select locations and events. ​Ask about a location or event near you.